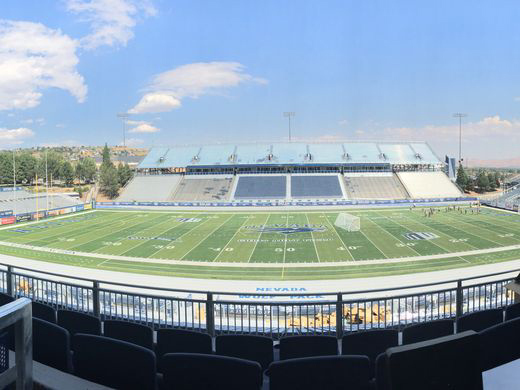 Mackay Stadium is an outdoor athletic stadium in Reno, Nevada, on the campus of the University of Nevada. The new 64-foot-wide video board, the centerpiece of the $14 million Stadium renovation this off-season, supposedly has the sharpest screen in all of college football. The renovation included three projects: an $11.5 million upgrade to add new seating options, a club level, ADA compliance and restrooms; a $2.1 million addition of a state-of-the-art videoboard and sound system; and a $400,000 resurfacing of the track that circles the field that used to be a cracked red surface and is now a fresh silver and blue. Athletic director Doug Knuth is thrilled with the final product. 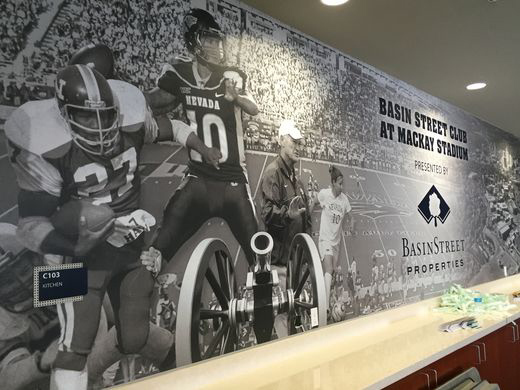 During Nevada's historic 2010 season, when it went 13-1 and finished 11th in the nation, Wolf Pack officials began dreaming about a renovated Mackay Stadium, which hadn't undergone a major renovation since 1996. In 2012, Nevada surveyed fans to see what changes they wanted to see. Doug Knuth was hired as the Wolf Pack's athletic director in April 2013 and the Mackay Stadium project quickly jumped to the top of his must-do list. 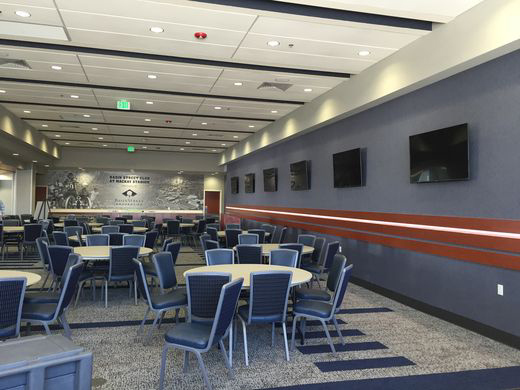 In December 2014, Nevada pitched the renovation to the Board of Regents, who approved the privately-funded project. Nearly two years later, it's now complete. The new 36 foot by 64 foot videoboard that has 1.5 million pixels. 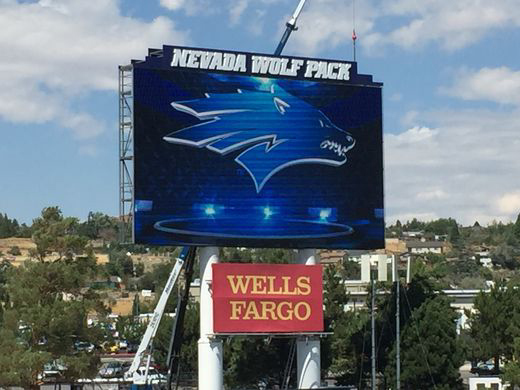 It is believed to be the only videoboard in college football with a 12-millimeter display. 50 - The years Mackay Stadium has stood since its debut in 1966. 1.5 million - The number of pixels in Nevada's new 36 foot by 64 foot videoboard. 20 - The years since Mackay Stadium's last major renovation, which occurred in 1996. $14 million - The total cost of the three projects that went into Mackay's renovation.